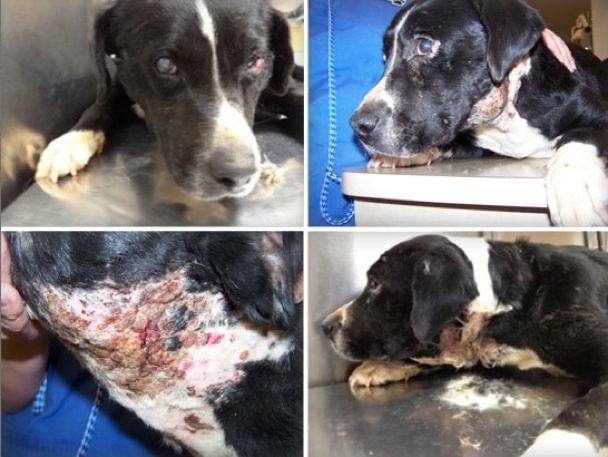 WHATEVER YOU CAN SO THIS TORTURED SOUL CAN FIND A LIFE OF LOVE THAT HE SO DESERVES. someone poking something in it and damaging it. The way Marley is now, he is totally blind. We are going to take him to an eye specialist to see if there is anything we can do to repair the eye with the cataract and restore some sight. 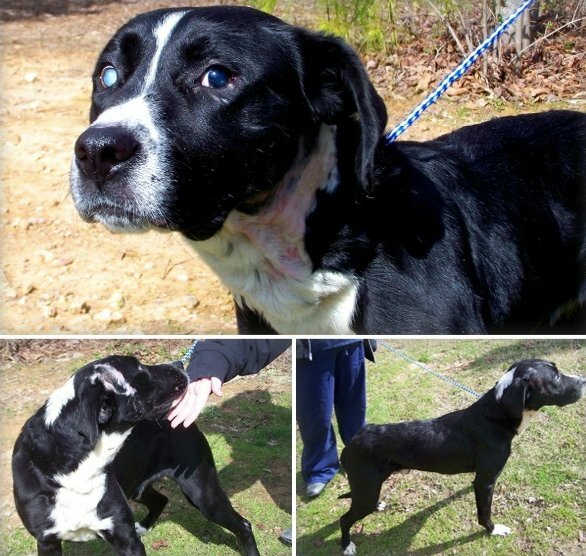 Our dear boy is skinny, loaded with parasites, is heartworm positive and is in terrible shape. He is going to need lots of medical care to turn him around. The worst part for this wonderful boy is that he is petrified. I have never seen a dog more scared and terrified in my entire born days. He is waiting for the torture to begin and will barely move an inch. He doesn’t even want to walk. He is literally paralyzed with fear. We have had Marley for two weeks. He is making small baby steps in his emotional recovery. His Heart and Spirit have been completely broken. He gave up a long time ago on Life. Just writing this, brings tears to my eyes. Why would anyone want to hurt a defenseless animal that only wants to love. The rescue that got him needed help with him since he was so sick and despondent. We stepped up because that is all we do. The worst of the worst that mankind has tortured and broken is all we do. I knew if anyone could turn him around, it was us. Any animal we take him, no matter how bad, is always given as much time as they need to trust and learn to love again. We keep all of our animals until they are emotionally ready to be placed. We place as much emphasis on the emotional part as we do on the medical part. They are both equally important. You can get an animal well but if he is not emotionally sound and loving life, we have failed. I refuse to give up on any animal we take in and animals like Marley are the reason why. I am still outraged that no one is being held accountable for his abuse. From what I have been told, this happens all the time in this area and they were glad to get him out of the horrible conditions he was in. That was the trade-off for getting Marley to safety apparently. No charges were to be filed. All we care about is Marley and getting him well. Our dear boy has not shown any aggression toward anyone. He will be with us for quite some time (once he leaves the hospital) to mend his broken Heart and Spirit. We will not know the best type of home environment for him until he has healed. Please, help us help him by donating.